The month of August has seen a host of new, long-awaited albums come out in the UK, unsurprisingly with Plej’s Home is Where Your Heart Was leading the pack in my book. 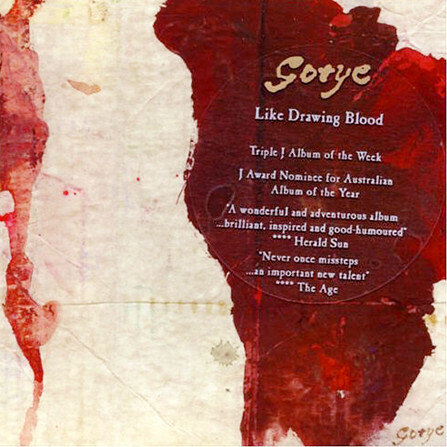 But a short break in my Swedish love affair has to come somewhere, and in that I have found much joy in Gotye‘s recent number, Like Drawing Blood. More commonly known as Wally De Backer, this Belgian-turned-Australian from Victoria is now on my list of Aussie musicians to look out for. And alongside releases whilst a member of indie band The Basics, this is his second full-length solo studio release — and an excitingly demonstrative one at that. This album (released in Australia back in 2006 to positive reception) is very indicative of the great potential rooted deep in the diversification of De Backer’s sampling selection. The technique he uses is one I like a lot, not least because some of my favourite tracks by Xploding Plastix (‘Comatose Luck’), Forss (‘Journeyman’), and Coldcut (‘Mr. Nichols’, featured in the previous post below) employ the same method. What these have in common is the prevalent focus being in spoken vocal clips, complimenting the various musical elements steadily pacing the foreground monologue. Whereas Jackson Fourgeaud (of Jackson and his Computer Band) warps vocals to incorporate them into the background, Gotye’s tracks are almost instructional. Many times his own voice and sometimes extracted from other sources, it comes together in jazzy indietronic IDM with a very familiar feel. I could’ve sworn I heard an extract from Michel Thomas‘ French audio learning series on Track 2 (‘Coming Back’), but yet again it could be anyone. So it lands on the gradually extending list of albums I’ve come about in recent times that haven’t gone into early retirement just yet. And nowadays with so many acts out there and readily accessible, that’s some feat.